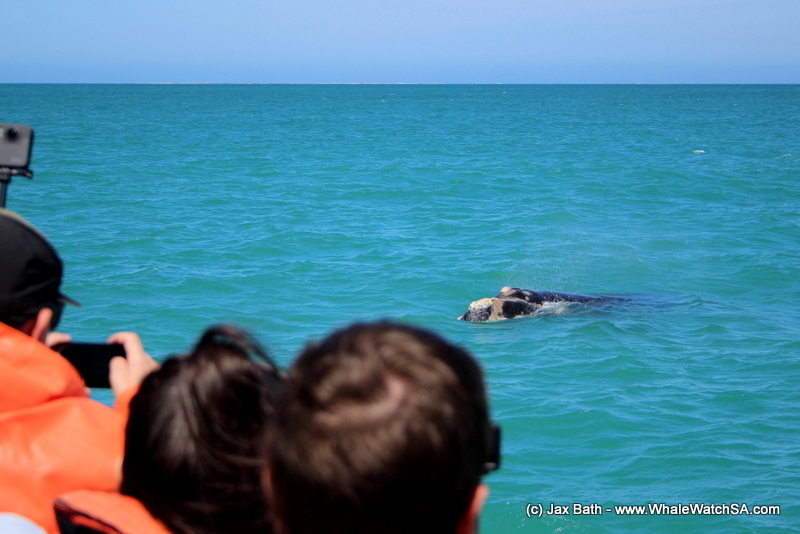 We've got whales and their babies all over the bay! We had an awesome few trips out on Dream Catcher, with the wind providing just enough spray to keep us nice and cool. Its starting to warm up here in the bay, which has been lovely! At this time last year, it was still a bit chilly but its really staring to feel like spring has sprung. 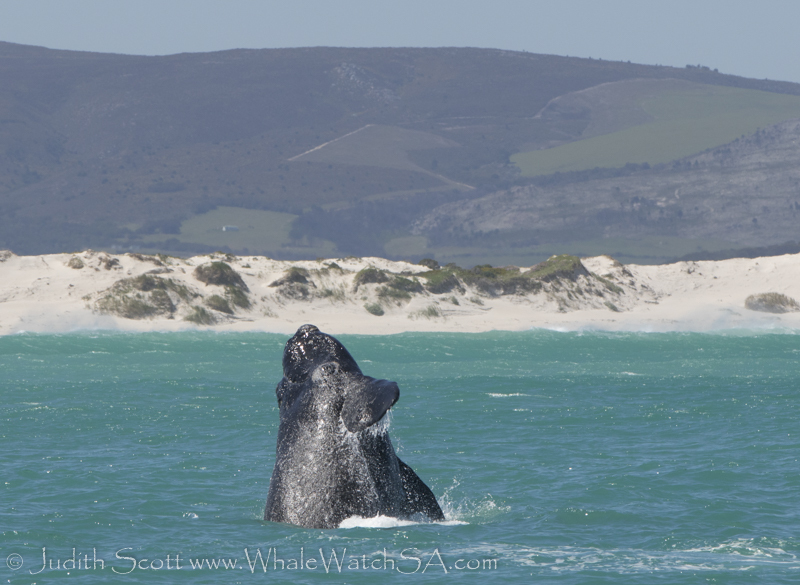 We spotted Southern Right Whales on all of our tours, with the bay still being choc-o-bloc with mothers and babies who are growing by the day. We can sometimes identify these pairs if they’ve got any unique markings and or callosities, and there are a few have been hanging around for a few days now. Some have been playful, giving us an awesome show out there. 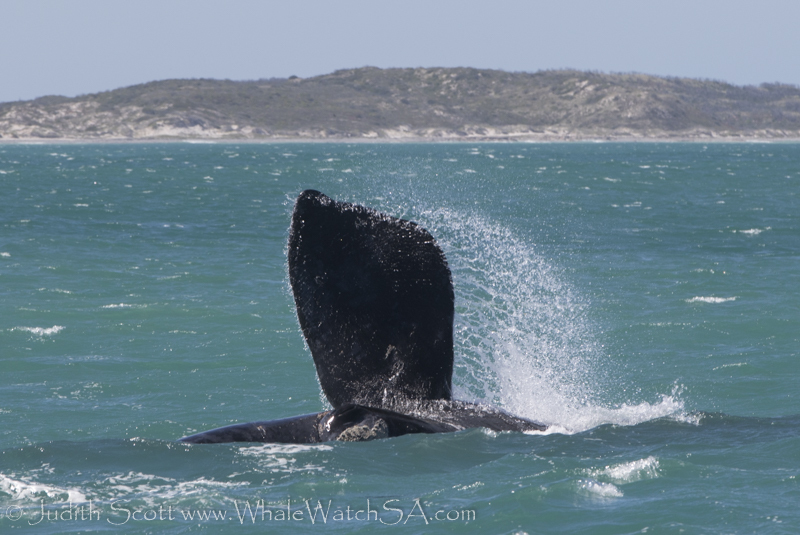 The first tour of the day set out at 10, heading straight into shallow water where we were almost instantly surrounded by whales. 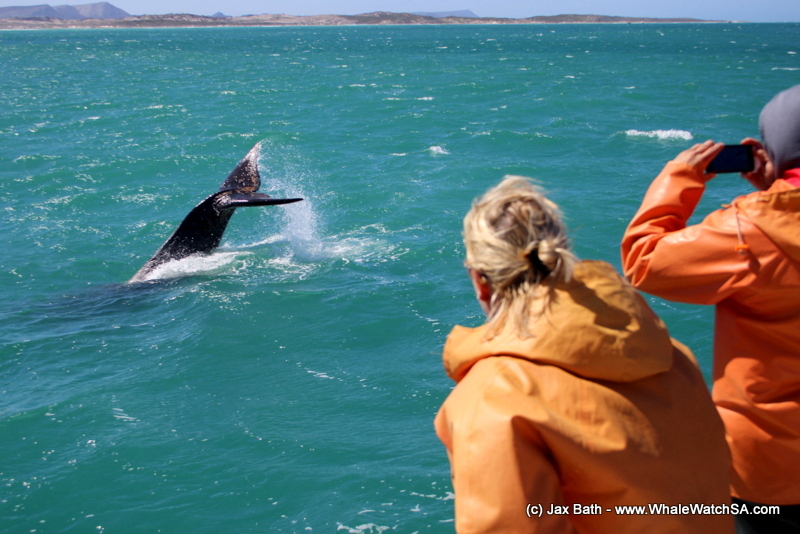 The highlight of this tour must have been the little whale coming right over to lobtail right next to our boat. This little dude kept at it for ages, giving us an awesome display. 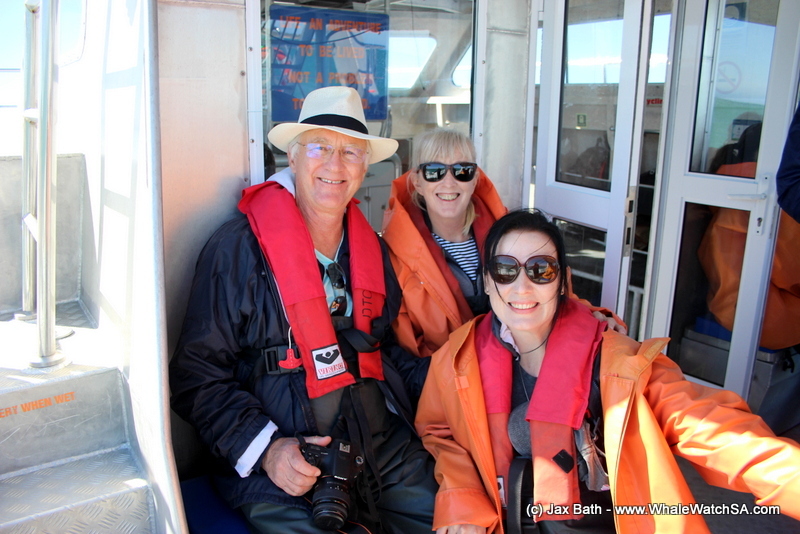 We then took a quick stop at the shark cage diving boats, before making our way over to Dyer Island. 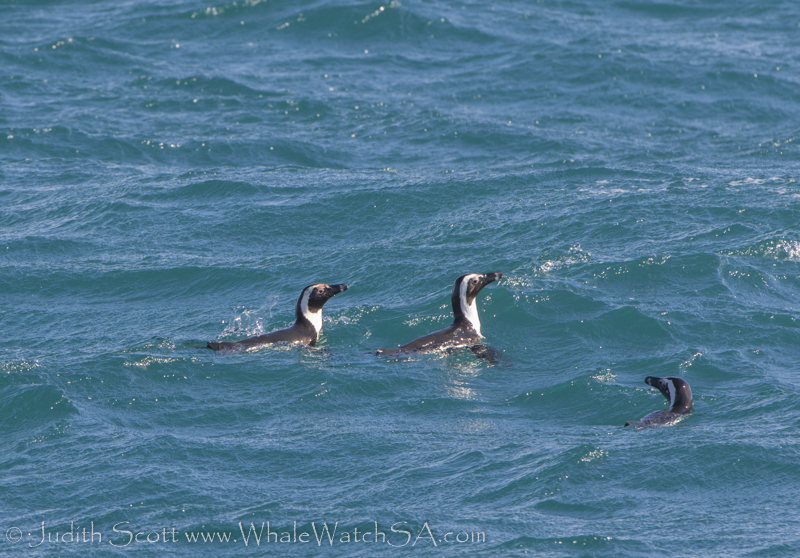 We had an African Penguin or three sitting on Dyer Island, so we took a quick stop to check out these little flightless birds in sponge bay. The world famous waters of Shark Alley was or next port of call, where we hung out with South Africa’s only resident seal species. On trip two the whales were also on fire, with a baby doing a breach or two. We were also lucky to get to see some lob tailing from these little ones, who seem to be enjoying the wind we’re having at the moment. They fooled around all throughout our time in the shallow water and we watched with glee as they carried on without a care in the world. 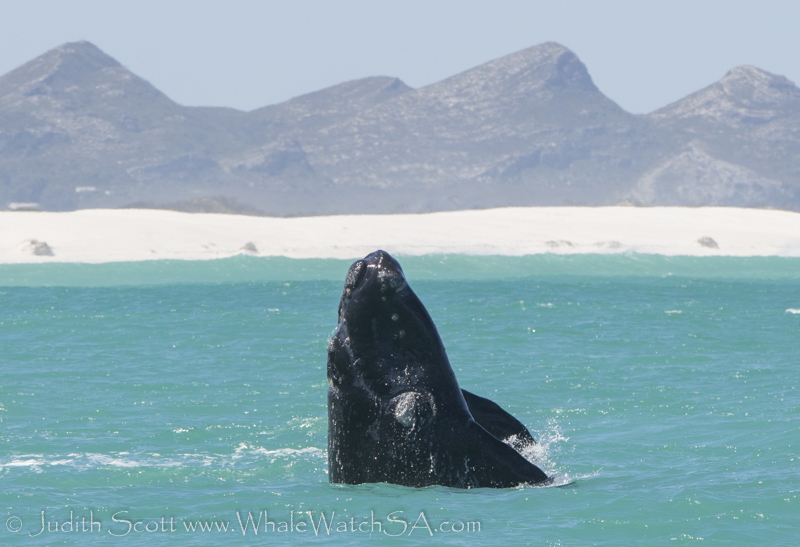 We even got to see a mother whale brech once or twice, which is certainly something to behold. At Slashfin on this tour, we were lucky to spot a Copper Shark, or Bronze Whaler, checking out the front of their boat, showing off its dorsal fin as he slowly cruised at the surface. 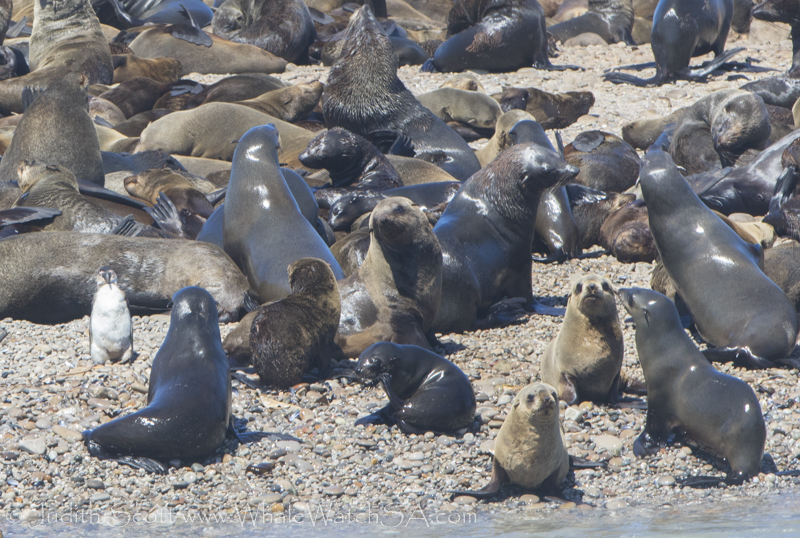 After taking a stop at Geyser Rock for some Cape Fur Seal viewing, we made our way back to port, spotting a Penguin along the way. 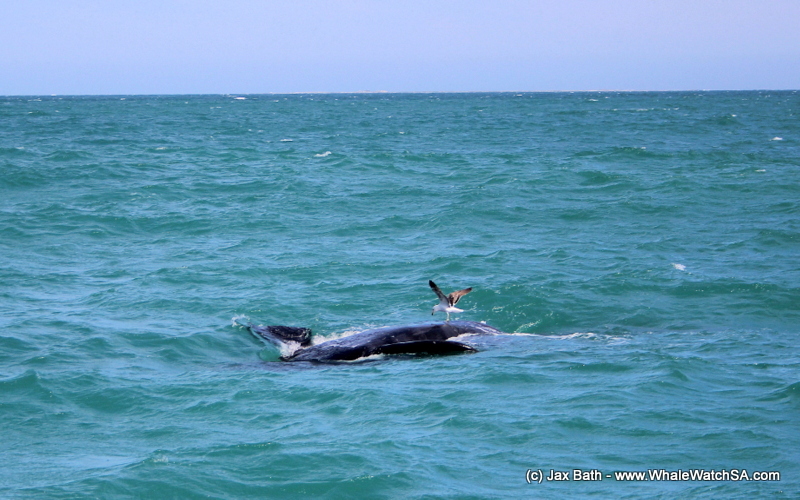 Trip 3 was also full of activity, with two whale calves meeting up for a play date. These little ones could not get enough of each other, rolling around and sticking their heads up. 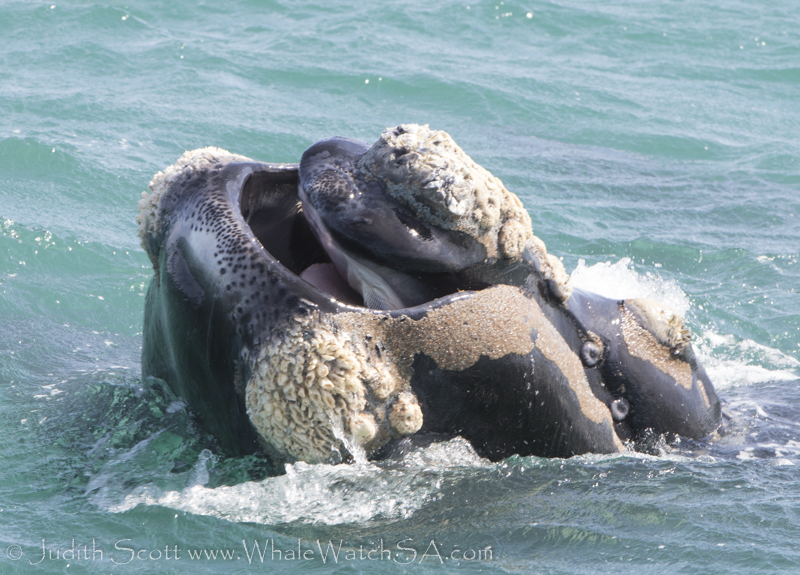 It looked like the one little one wanted to rest his head on the others back, constantly trying to put his head down whilst the other cheeky whale would move away, this was really heart warming to see, and we thoroughly enjoyed watching these two. We also got to see a Sea Gull go for a claves stomach, which was not so great as these birds have been known to develop a habit of pecking at the whales. 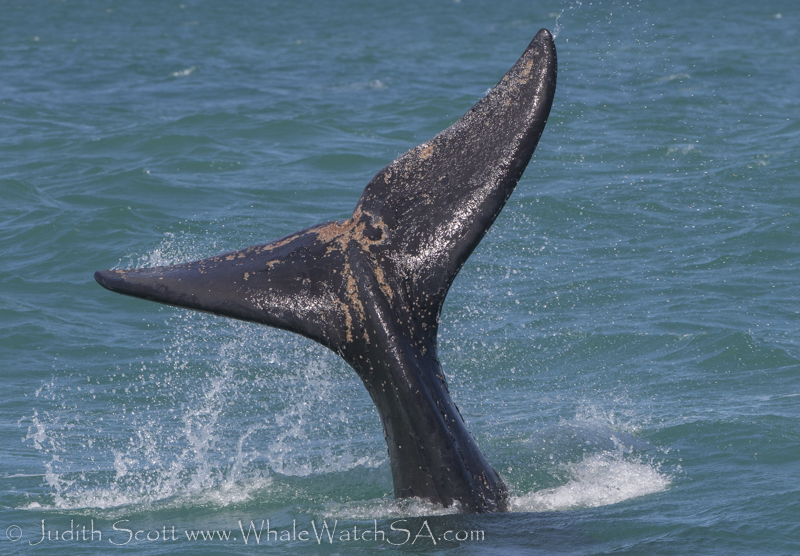 We finished off our whale time with some gorgeous breaching and a close approach by a calf before popping into shark alley and finding a raft of African Penguins. Can you spot the African Penguin? A raft of torpedos in tuxedos. The orange on the tail of this animal is whale lice. This baby was super playful. 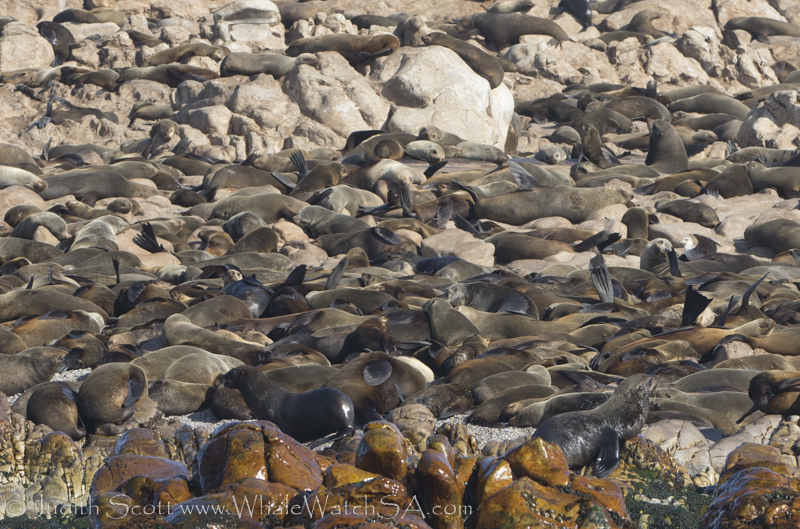 Hundreds of sea labradors, who are more commonly known as Cape Fur Seals. The Calves were going crazy today. 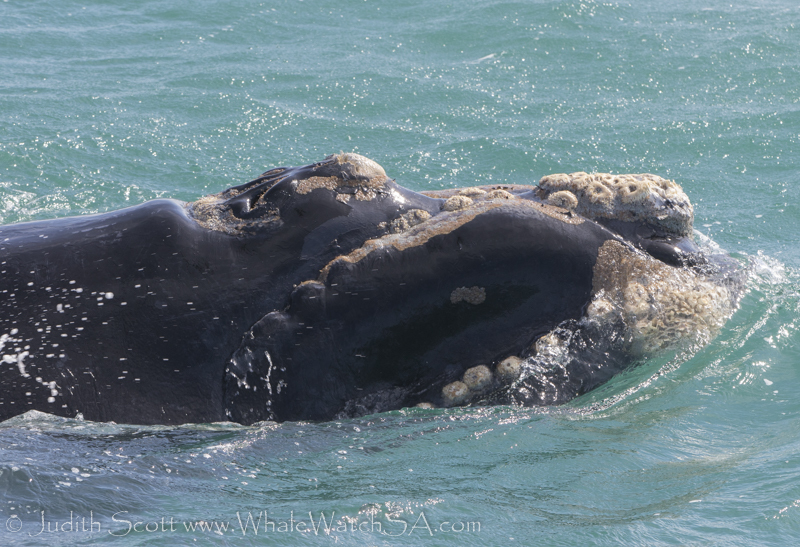 This little whale was lob tailing right next to our boat. This little one opened it’s mouth right in front of the boat. 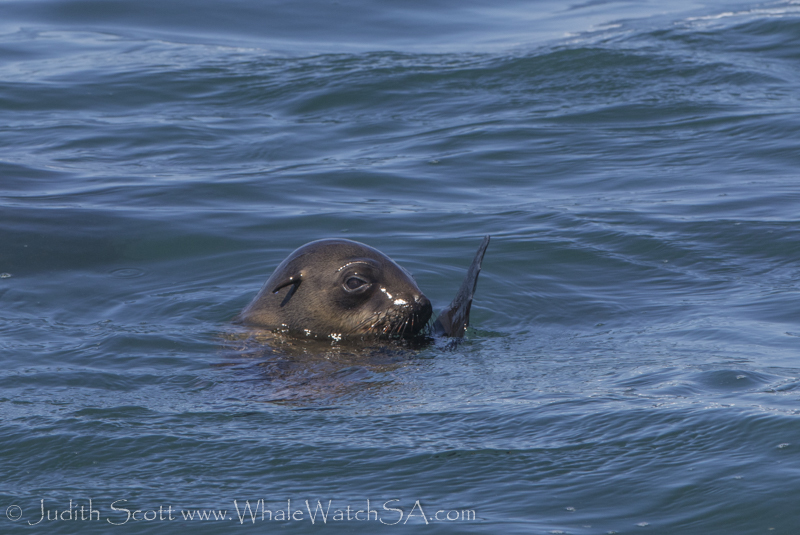 A Kelp Gull pecking at the belly of a Southern Right Whale calf. A pesky seal giving us a look. The babies have been so curious lately! A close up look at a calf.